League of Angels II Winter Festival Items Debut! Has it already snowed where you live? The first snow of the winter is about to fall on Sapphire! League of Angels II, the epic free to play browser MMORPG, will hold it’s first Winter Festival from Nov. 28th to Dec. 2nd! This wintry event will be bringing a new Winter-themed Suit, Battle Pet, and Mount to keep you cozy for the holidays! Take a look at the preview below. This stylish winter fashion is worn by the fearsome warriors of the north. The arctic fighters bear a striking appearance with their silver hair and glistening crystal wings. Wielding mastery over frost magic, they eradicate evil with cold efficiency. Conjure the power of frost to deal (81%+20) DMG to all enemies with a 36% chance to freeze them for 1 round. Channel the fury of a blizzard to deal (233%+80) DMG to a column of enemies and reduce their Rage by 300, this skill will trigger in the first round. Azurous the Frost Dragon was found in the glacial caves by Angels. No one knows where he came from, but a great magical aura emanated from his crystalline body. The Angels decided to take the dragon back, and train him to wield his frost magic against evil. Summon an Ice Barrier for the entire squad, restoring (81% +20)HP and increasing DEF by 12% for 3 rounds. Deal (253%+90) DMG to the enemy with the lowest HP percent, if the target is below 50% HP before the attack, they will also be frozen for 1 round (this effect ignores immunities). The Arctic Bear was the fiercest predator to roam the glacial plains until it was tamed by the Angel of Desire and become her exclusive mount. Now Arctic Bear has become one of the Angels’ most trusted companions and its yellow scarf shows how deeply it is beloved by them. In return, Arctic Bear is extremely protective of the Angels. Increase DEF and END by 10% for 2 rounds. 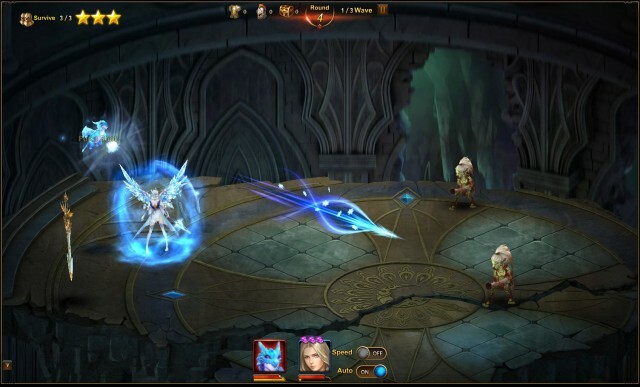 Spend your winter holidays with League of Angels II! Play now for free and enjoy exclusive new winter content. Stay tuned for more great holiday events coming very soon!